Often patients don’t know when is the time to call a back specialist but it is better to be safe than sorry. Read below about when you should call your spine specialist. 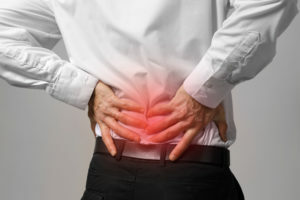 This Patients’ Guide has described the many steps you can take to treat your lower back pain and prevent it from coming back. From improving your sleep habits to finding safe ways to exercise your back, you can take control of your back health and work to eliminate low back pain. your pain is severe. Only you know your body and your tolerance for pain. What is “normal” for one person is not normal for everyone. If your lower back pain is excruciating, seek immediate medical attention. If your primary care physician is unavailable and your pain feels unbearable, head to the nearest emergency room. you have weakness in the legs or feet. If you begin to experience weakness in one or both of your legs, or if your foot drags behind you when you walk, you should contact a spine specialist immediately (or go to the ER). you have bowel or bladder problems. Severe spinal problems may result in a loss of bowel or bladder control. Alert your doctor if you have trouble starting or controlling urination or bowel movements, or if you lose feeling while on the toilet. your pain interrupts your sleep. If back pain prevents you from falling asleep or consistently wakes you up during the night, it is time to seek more help. you experience medication side effects. Over-the-counter medications, complementary and alternative treatments, and prescription medications can all be helpful in reducing lower back pain. However, the drugs can cause debilitating side effects, and taking them together can cause dangerous interactions. Tell your doctor if you experience side effects; you may be able to switch to an equally effective alternative that does not cause additional problems. Original article posted by Spineuniverse.com.